In this week's edition of The Bleacher Briefings podcast, we turn the show over to the listeners and viewers by covering topics supplied to us by their emails, including -- the possible settlement offered by the NFL to Jonathan Vilma, Brandon Marshall's Super Bowl prediction, and Terrell Owens to the Seattle Seahawks! 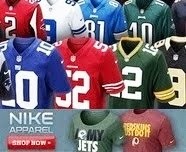 - A Deal For Vilma? : Reportedly, the National Football League has offered Saints linebacker Jonathan Vilma a settlement and reduced suspension if he drops his lawsuit against the league. Should he take the deal? How will this all play out? Hear our take. - Are the Bears Super? 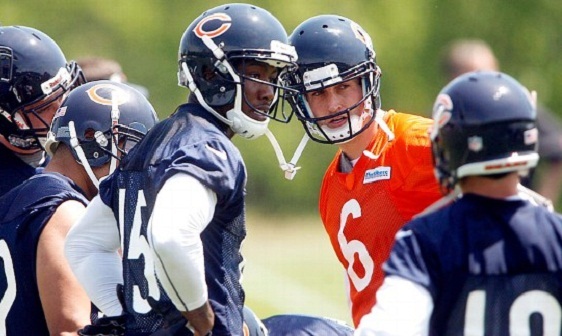 : Brandon Marshall says Chicago has what it takes to win the Super Bowl this year. Is he crazy, or could the wide receiver really be on to something here? We'll tell you. - Seattle Inks Owens: 38-year-old wide receiver Terrell Owens finally has a new home. But at his age, is it even realistic to expect much out of him? Our answers could surprise you. - Best Ever? : With 22 total medals over the course of three Olympic Games, is Michael Phelps now the greatest Olympian of all-time? We break it down. - Dream Team 2012: Which is the real U.S. Men's Basketball Team? The one that destroyed Nigeria by 83, or the one that barely beat Lithuania by 5? Also, could this group possibly beat the original Dream Team? Let the debate begin. All this and more in this week's special edition of The Bleacher Briefings podcast! first time listening. not bad.